Silicon Prairie™, one of Madison’s newest mixed use business parks, is located on the west side of Madison at the intersection of Mineral Point Road and South Point Road. It has over 51 acres of land available for office, complimentary retail and light industrial development. With protective covenants in place you can be ensured that each property will be developed with an eye towards long term value and constructed to environmentally sustainable standards. Great pastoral setting, ideal for corporate headquarters. Designed with comprehensive and sustainable vision. Great West-side of Madison location along Mineral Point Rd. Located in the path of growth and surrounded by existing and future high end residential and commercial development. Transportation Demand Management plan in place. 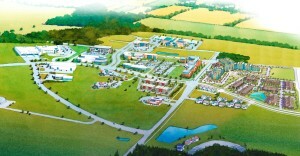 The first master planned commercial property in Wisconsin to be awarded the Audubon Signature Program. Multiple options for hi-speed data. Flexible options to meet your needs. 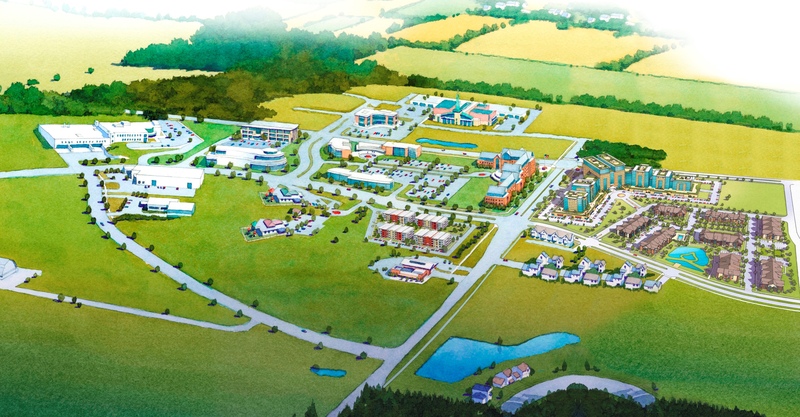 Silicon Prairie™ is home to Full Compass Systems, Extreme Engineering Solutions, Productive Programming, Inc., Coated Metals Group, Academy for Little Learners, and the 286 unit Legacy Apartment complex developed by The McKenzie Company. Experience the journey of Silicon Prairie™. Available for Build-to-Suit Development for Lease or for Sale. Industrial/ Flex Land Property Data Sheet (PDF) – View through PropertyDrive or here.